Singer-songwriter Pham Truong finally reaches Top Ten after 4 long months. The song, released back in July, has slowly moved up Zing’s Top 50 and proudly takes no. 10 this week. The lyrics reflect a man’s nostalgia for the love that used to be as pure as a piece of white paper. WePro’s singer Pham Quynh Anh is officially back after 2 years of hiatus with a fresh comeback single. The song is Vpop’s average sappy ballad but WePro sure knew how to promote it–that being the MV appearance of Cao Lam Vien, one of the most visible male models today. The song made no hesitations to begin it’s hike up to no. 9. Cao Thai Son’s title song of his latest album revisits Zing’s Top Ten despite tough competition. The lyrics talk about a man who finds comfort in the new love that has helped him move on from the misery of the past love. Dong Nhi’s “When It’s Raining” is a catchy pop song about an adolescent’s innocent first love. The song is just one of Dong Nhi’s many hit songs that are included in her first full-length album titled “The First Step.” This week the song remains in Zing’s Top Ten at no.7. This sad ballad doubles as a man’s confessions who seems to be in the dumps over a love that was never meant to be. Whenever he looked up at the lonesome stars, he is reminded of his own lonely state. The song, included in Phan Dinh Tung’s newest album with the same title, occupies no. 4 on Zing’s Top Ten this week. Included in the album with the same title, “Recalling the dream” is a moving ballad about a woman who tries in vain to forget her past love. Ho Ngoc Ha’s husky pipes continues to add flavor to the simplest and rather cliche melodies. The song is at no.5 this week. “Changes” is the title song of Noo Phuoc Thinh’s latest single. The post-breakup ballad tells of a man who refuses to let go of the love that has reduced to mere memories as the woman had a change of heart. The song steadily moved up the chart and is at no.4 this week. This beautiful ballad is about a man who wishes to protect his woman and remain by her side forever. The song remains at no.3 for the second week in a row. Cao Thai Son’s “Love’s Return”, from his album “Cau vong sau mua/Rainbow after the rain”, is finally trumped this week. This song has been on top of the chart for a while and this week it falls one spot to no.2. The sorrowful lyrics are about a man who tries to come to terms with the painful separation from his love. The title song of Khac Viet’s newly released album, “Yeu Lai Tu Dau” is about a couple whose rocky relationship could only be eased through temporary separation. The man proposes to start over from the beginning. 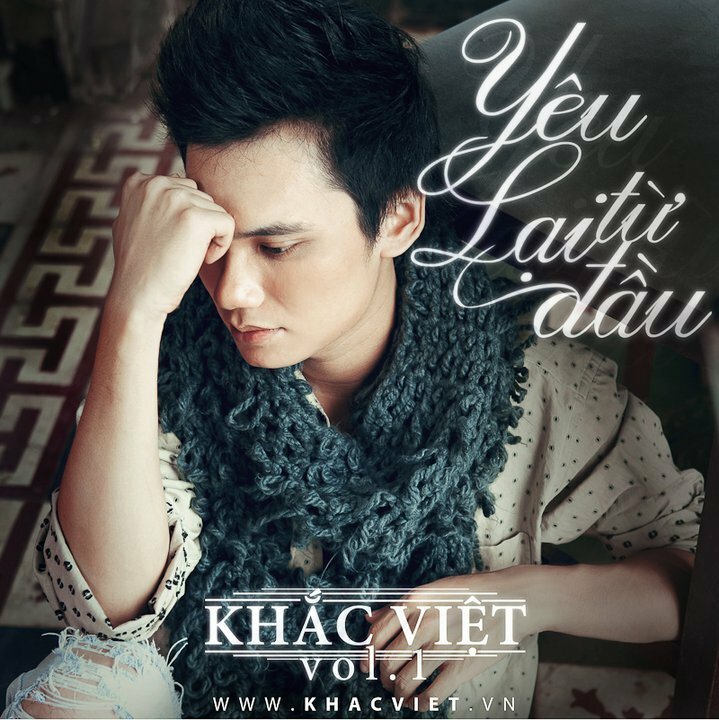 Khac Viet’s sweet voice and the mellow melody are the perfect combination for a hit song. Khac Viet has officially become the king of Zing Top Ten chart this week. He has composed two songs that currently occupies the two highest spots, while also personally delivering the no.1 song, himself. Meanwhile, Akira Phan, Noo Phuoc Thinh and Ho Ngoc Ha are still at firm positions on the chart despite fierce competition. We hope to see more new songs in the coming weeks! I don’t like half of the songs from this list!! But I like yeu lai tu dau, doi thay, tim lai giac mo, and khi mua. Sometimes/most of the time, I think Zing’s top ten is bleh. What about songs that are more worthy of the top ten?